We are a group of veterinarians who have created the Albanian Veterinary Medicine Forum to connect with our fellow Albanian colleagues around the world. 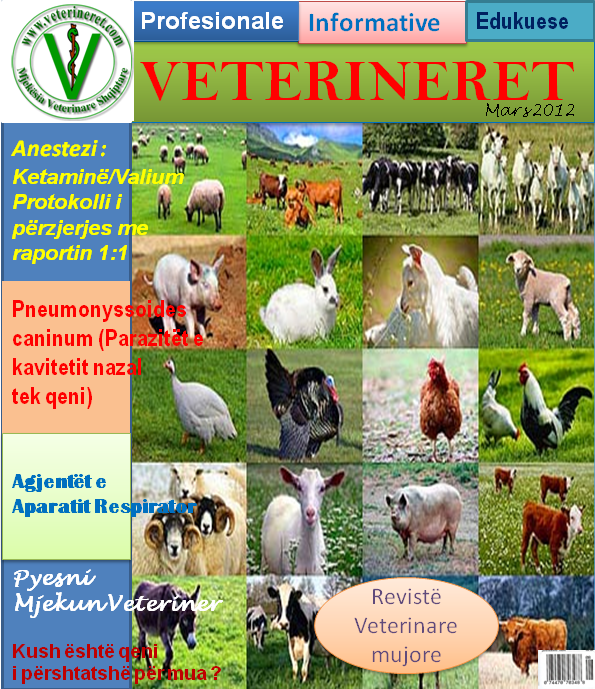 Our aim is to unite Albanian veterinarians worldwide and provide them the opportunity to consult among colleagues, share information, and materials. We hope to create an environment where colleagues will also be able to exchange ideas and have the opportunity to read the scientific studies related to the field of veterinary medicine. Who is in this forum? This group has some real pioneers with colleagues from Albania, Kosovo and Macedonia, but the members of this forum, those who will be able to do this site its true justice, are all those colleagues who will be active participants. Nuk lejohet ripublikimi pjeserisht apo te plota, i artikujve te revistes online “Mjekesia Veterinare Shqiptare”! .